When you’re trying to lose weight, most people will say that diet and exercise is the best practice. However, dieting and exercising can only go so far, especially if you’re trying to lose those last five pounds around your middle and they won’t budge. If your hard work isn’t providing you with the results that you desired, you may start to feel defeated or even look into surgical options to help you get a slim figure. Before you take drastic measures to get the appearance that you’ve always wanted, check out the Rejuvenation Center in Wheeling! 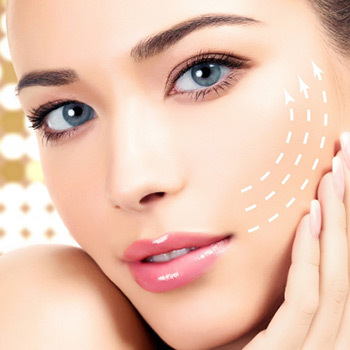 We offer a variety of cosmetic procedures that will help you achieve the attractive appearance that you’ve always wanted without a long recovery time, stitches and scarring, and without even stepping foot into a hospital. If you’re looking for a way to lose stubborn belly fat, we offer CoolSculpting®, an innovative technique that will freeze away fat cells for good. To learn more or to schedule a consultation, contact the Rejuvenation Center today! 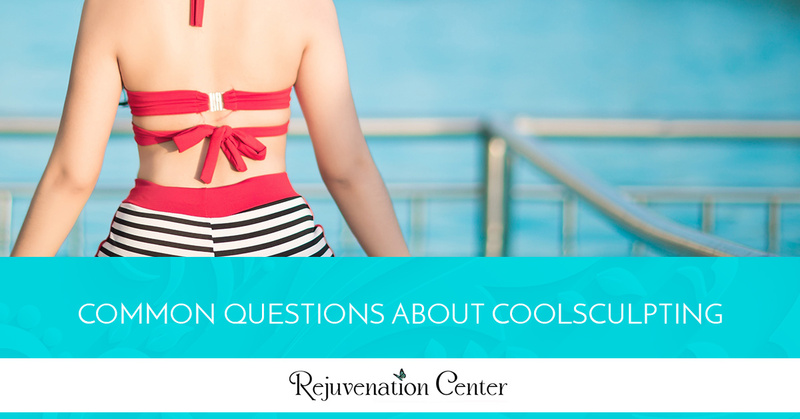 In the meantime, continue reading below where we answer the most common questions that we receive about our CoolSculpting procedure. CoolSculpting is a non-surgical procedure that helps to treat areas on your body where fat will refuse to decrease with diet and exercise. The doctor will use a handheld device to target specific areas and freeze away the fat cells below the surface of your skin. The fat cells in the treated area are frozen and then die over time. Your body will process and eliminate the dead cells, leaving the treated area more sculpted. CoolSculpting is not a solution for those who are trying to eliminate a significant amount of weight. Candidates for CoolSculpting include both men and women who exercise and eat right but have trouble losing weight in specific areas. These areas may include love handles, the abdomen, back, arms, and under the chin. If you are having trouble losing weight in these areas despite dieting and exercise, then CoolSculpting may be the solution for you! The number of treatments needed to achieve the desired results is different for each patient. Someone who plans on treating multiple areas will need to schedule more sessions than someone who only wants to target a single area. Your doctor will work with you to create a plan that is tailored to your desired results. During the treatment, the fat cells under your skin will be frozen. 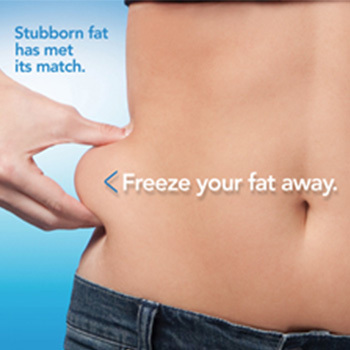 Over time, the fat cells that were frozen with CoolSculpting will die. Your body will absorb, process, and eliminate the fat cells. With traditional diet and exercise, the weight loss that you experience is a result of the fat cells in your body shrinking. Because CoolSculpting freezes and kills the fat cells instead of shrinking them, they are gone forever. Because CoolSculpting involves freezing away fat cells, it’s normal for the area being treated to feel cold during the procedure. You may also experience mild sensations of pulling, tingling, stinging, or aching until the treated area becomes numb. Once the treatment is over, it’s normal to see redness, swelling, and bruising among other symptoms, but they are temporary and will subside with time. When you receive a CoolSculpting treatment, you won’t see results right away. As the fat cells in the treated area die and are absorbed by your body, your body will start to look more and more contoured. You can start to see results in as little as three weeks, but it may take as long as two months to see the full results of your procedure. Schedule a Consultation at the Rejuvenation Center today! At the Rejuvenation Center, we strive to help you achieve the appearance that you have always wanted. Whether you’re interested in smoothing wrinkles, laser hair reduction, or treating stubborn fat with CoolSculpting, our talented doctors and nurses will work with you to make sure that you are happy with your results. Browse our website to see an extensive list of the cosmetic procedures that we offer, and if you have any questions about our CoolSculpting procedure, give us a call to schedule your consultation today! Would you prefer an in-office or virtual consultation?